Natasha Akhlaq, 16, was returning home from Kentucky Fried Chicken after attending a birthday party when she saw a road accident. Together with her driver, she could not stop to visit the scene despite midnight and parent’s calling from home. “He was a young boy. The car driver had ran away”, she said. 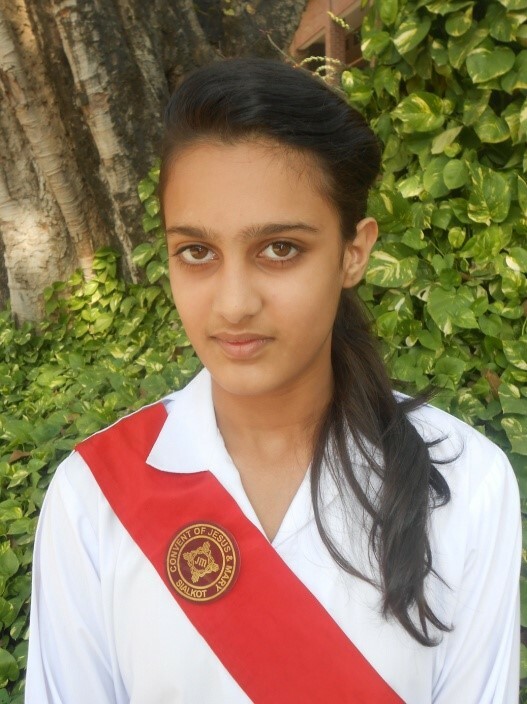 The student of Convent of Jesus and Mary, Sialkot, provided him the most possible first aid and immediately called Rescue – 1122. But her work was not done. Natasha accompanied the rescue workers and stayed with the injured youth until she learnt he was in safe condition. But when his parents arrived, she was shocked. “He was the son of our worst enemy who caused great loss and tension to my family”, she said. Natasha claims the peace curriculum taught in “Doves of Peace Club” of the Convent school drove her to save someone she barely knew. The syllabus, introduced last year, deals with several topics including forgiveness, love, prosperity and care.